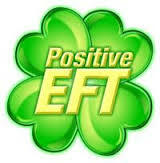 EFT works upon the energy body to remove blockages, improve the flow of energy through the energy body, and this can be beneficial in bringing about an improvement in the presenting symptoms. For further information, or to book an appointment. Please contact us.